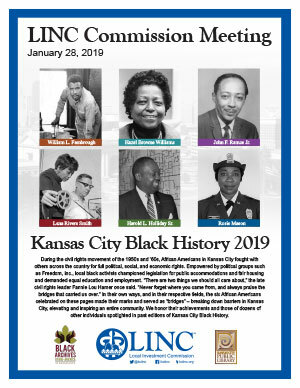 The LINC Commission will meet Monday, Jan. 28, 4-6 p.m., at the Kauffman Foundation, 4801 Rockhill Rd., Kansas City, Mo. The main focus of the meeting will include a presentation by Dr. Jason Snodgrass, superintendent Fort Osage School District and the potential community impact on food stamp benefits as a result of the partial government shutdown. The public is invited. Download the meeting booklet.